Classified as | "earthy taste"
Small dense buds. Beautiful shades of green and plentiful with trichomes. Very Earthy and mountain Forest-like smell. Won’t stink up a house but the smell is pungent up close. Slight chocolate aroma. Earthy taste with a slight yet distinct chocolate aftertaste. Chocolate Chunk is a perfect night time or lazy day smoke. The high is a very stoning, narcotic like high. At first the high is pretty intense. I greened/passed out for a few minutes my first vape session, however never felt any paranoia/panic while I was trippin my balls off… But then the classic “heavy” Indica effects gradually creep on stronger and stronger until all stress and muscle tension melts away and the intense body high sets in. Long lasting effects 2-3 hours. Top notch medical strain! Since I’ve started smoking Chocolate Chunk I’ve been able to go off a number of medications (with doctors approval.) I no longer need to take Xanax for my anxiety and panic attacks. The physical pain killing properties of this strain are unbelievable. I have arthritis in my ankles and no longer need to take ibuprofen for pain/swelling. I also dislocated my elbow and seperated a rib in a nasty snowboarding crash and was prescribed oxycodone for pain. 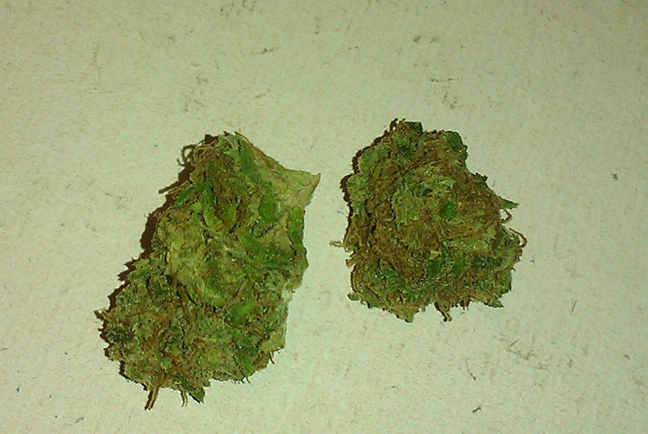 For me personnally, Chocolate Chunk managed the pain MUCH better and for longer than the pharmaceuticals prescribed. It has been a life changing medicine for me personally. I highly recommend it. Looks: Not very aesthetically pleasing if you’re used to similar sativas like Maui Wowwee and Blue Dream. Trichomes will be visible up close and when nugs are broken up. 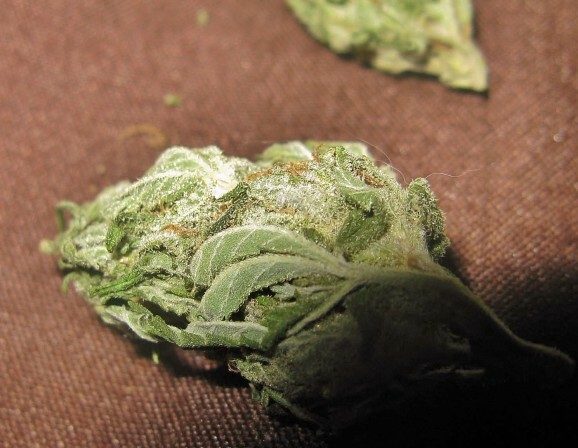 Taste: Earthy yet its own unique Sativa taste, like a White Widow…smells like one thing and tastes like another. Effects: Great “heady” buzz, even good for evenings. Excellent for a relaxing, yet focused high. Potency: All about quality on this one. 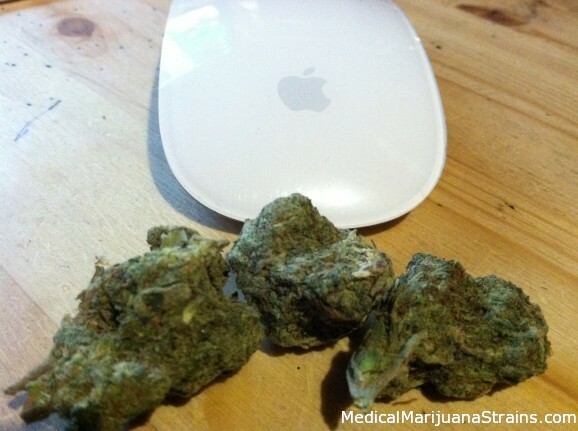 A regular silver haze can be bomb if its well-grown and cured properly. I’d say up to an 8/10. Looks: Dense, trichome rich nugs. Few light light green colored leaves. Covered in light orange hairs and crystals leaving it looking like a lil’ monster. Soft and a little sticky when broken up. Taste: The taste is more earthy than woody, and is subtle throughout. The smoke had a light feeling to it, and was not harsh. Strain Name: I don’t know, maybe someone can tell me? Looks: small, dense, mossy green buds no bigger than popcorn. 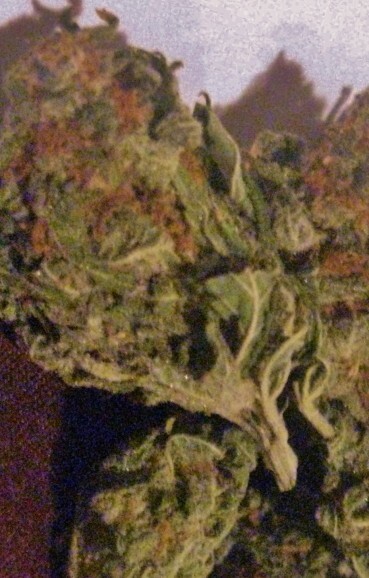 orangy/brown hairs, some longer white hairs, somewhat sticky and as the pictures show the buds are generously laced with crystals. nose in the bag and take a deep inhale. There’s also a soft lemony pine scent at first. I love the smell of it. Effects: soft, slow incline (creeper), you feel it instantly after your first few exhales. Unlike other creepers that I HATE, this is pleasant. I’v been smoking for a long time always in search for that “perfect” medium. And I can’t stop talking about this one and I don’t even know what its called. There’s a slight Europhic feel at the peak of the incline for myself and fellow testers. It has a creativity affect, creates a clear mind, almost like the affect Ritalin does for someone with ADHD..
I’m super sensitive to the buzz that I like to obtain for the most part I usually only take a few puffs and usually that’s too much, but this strain is mild and therapeutic. Its very good for day time AND night time (smoked in a vape). was nothing like he’s tried in a long time. He can’t quite put his finger on it. 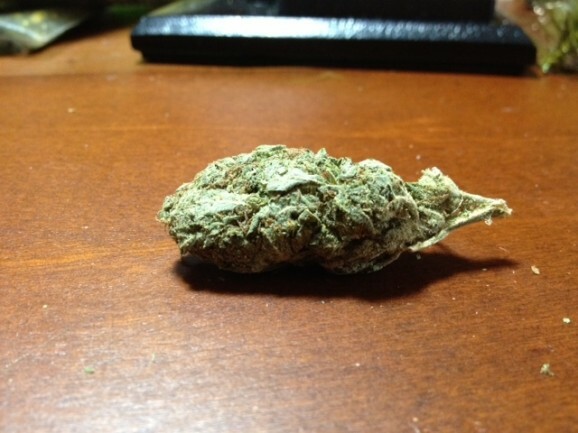 Good Strain For: Daytime: Anxiety, ADHD, Depression, Pain, Tension, Asthma, Appetite (increase). Promoting creativity, motivation. for Nighttime: ( upgrade the dosage to a vape or an extra puff or two from a joint). Calming effect, feel it in ur eyes, then creeps to the rest of ur body. I like it for its “libido enhancer”. Hard to explain. Looks:Light to medium green with a few purple leaves. 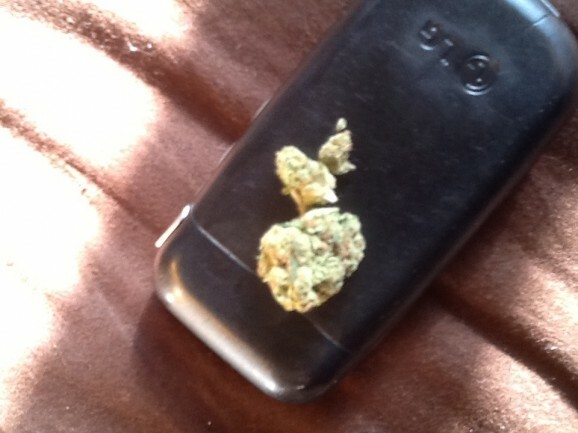 moderate amount of red hairs covering the bud. Many crystals on the inside when broken up. Smell:Slight hints of mint along with Blackberry/Blueberry aromas. Taste: Smooth. Taste is where the sweet pink grapefruit lineage really shines through. Must vaporize to attain full flavor. Sweet and fruity on the inhale with slight earthy tones on exhale.